Remodeling activity is at levels not seen for some years. Fueled by economic, market and demographic trends, demand is likely to remain strong for the next several years, according to some recent forecasts. The growth trajectory may level off somewhat, but remodelers and designers will have plenty of work to keep busy. Affirming earlier data showing that remodeling activity picked up this spring, Metrostudy recently announced that its Residential Remodeling Index (RRI) hit an all-time high in the second quarter of this year (at 114.4). Activity was up 1.3 percent over the previous quarter and 5.2 percent from the previous year. Mark Boud, chief economist for Metrostudy, stated the industry will "close strong" in 2018 and should continue to experience "steady growth" in 2019. All of the metro areas included in the index should expect to see an average annual growth this year of around 4.3 percent, said Doud. Noting that demand for home remodeling services has increased by 30 percent in the past five years, the latest housing market report from BuildFax finds activity declined ever so slightly in June, down a fraction of a point (0.26 percent) from the previous year. However, it found remodeling spending had increased year-over-year by 8.96 percent. Remodelers have faced some challenges in trying to keep up with demand, which may account for the dip in June. Even if growth begins to taper off somewhat, which is far from certain at this point, the factors driving demand will remain in place for some time to come. One of those is the growing pool of prospective homebuyers and the accompanying increase in home prices. The BuildFax report observes, "The market continues to show signs of homeowners shifting toward improving their current home, rather than buying a new one." Similarly, many repeat and new buyers, including older millennials, are opting to purchase less-than-desirable but cheaper homes in older neighborhoods and renovating them to their liking, rather than buying a more expensive home or doing without. 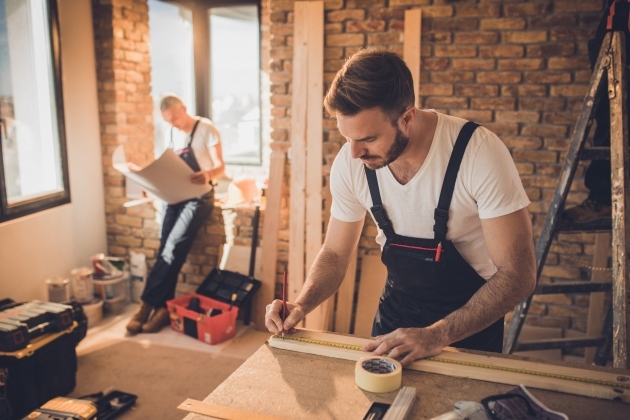 The latest Houzz Canada survey, for example, finds repeat and new buyers plan to spend considerably more on renovations than do long-term owners who wish to remain in their current home. Another major driver is the aging of the baby boomers. In a recent podcast, as reported by Remodeler magazine, Rick Strachan, president of Hanley Wood’s Contractors Group, told the audience that the cohort aged 50 years or older accounts for 55 percent of the remodeling industry’s activity in recent years, in large because they are more likely to hire a professional that are younger homeowners. For that reason, Strachan forecasts the remodeling industry will continue to grow at upper-single digit rates for the next few years. Looking further out, a new market research report from Global Market Insights predicts that the remodeling industry globally, both residential and commercial, will see an average annual growth rate of 4 percent for the foreseeable future, exceeding $5 trillion in revenues by the year 2024. North America will continue to command the largest share of that market due to the size of its economy and levels of consumer spending. Some of that demand, states the report, will come from owners wanting to improve their homes for various reasons, such as upgrading or enhancing their living environment, opting for more eco-friendly products, incorporating or accommodating new technologies, expanding storage capacity, and making the home more suitable for socializing, as well as planning for aging in place. In addition, the report foresees increased demand for renovations and reconstruction due to climate change and more severe and frequent natural disasters. All of these are long-term trends with fairly stable trajectories. For some time to come, the challenge for remodelers and designers will be meeting rather than generating the demand for their services.